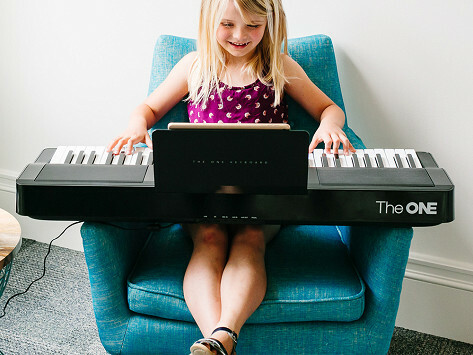 This super smart keyboard will teach you how to play—like an effective, patient teacher. 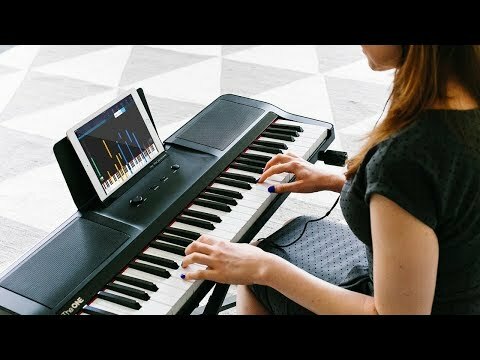 Sync your device to the keyboard and your hands to the keys, where LED lights integrate seamlessly with the screen and guide you with step-by-step and hand-by-hand instructions. Pick from the library of videos and digital sheet music as you make your way from Twinkle Twinkle to one of Mozart’s concertos. You can stop, rewind, and slow down whenever you want. And when you’re not practicing, use your keyboard as a speaker to stream music.